Over the last 50 years, our media has shifted from major networks and newspapers to specialized sources with specific audiences. In other words, we can ‘shop’ for the news that suits us and limit our exposure to news that we don’t like. We often hear that this results in a culture of polarization. But is that actually so? In this conversation we explore how politics has become “not to be discussed”. What happens in our relationships as a result of having specialized media sources and a lack of common understanding? In this conversation we also explore what type of political climate we aspire to… so we can begin to envision it together. What are your thoughts on Media and Polarization ? 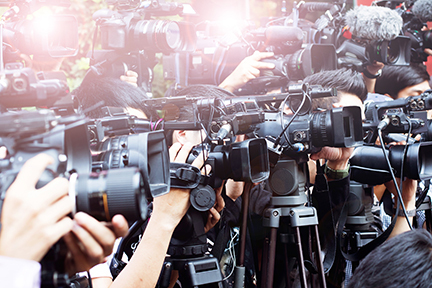 How does the media impact you, your friends, and your family? How often do you talk politics with your friends and family? Has polarization impacted your relationships? What happened? How would you describe the political climate you’d like to have?If you do, how do you describe yourself, politically?